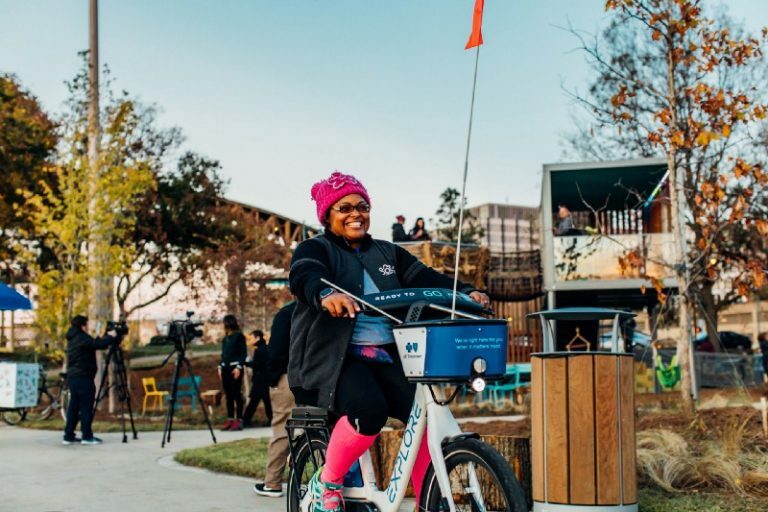 Cities participating in the three-year Reimagining the Civic Commons program funded by the nation’s most prominent national foundations recently met in Memphis. The city is one of the pilot demonstration cities in the program and representatives from the other cities – Detroit, Philadelphia, Chicago, and Akron – raved about Memphis and its continued Civic Commons work that includes the Cossitt Library and the riverfront. So far, it’s produced River Garden, temporary outdoor ice skating, a nighttime market, and work to upgrade Cossitt Library into a library of the future. 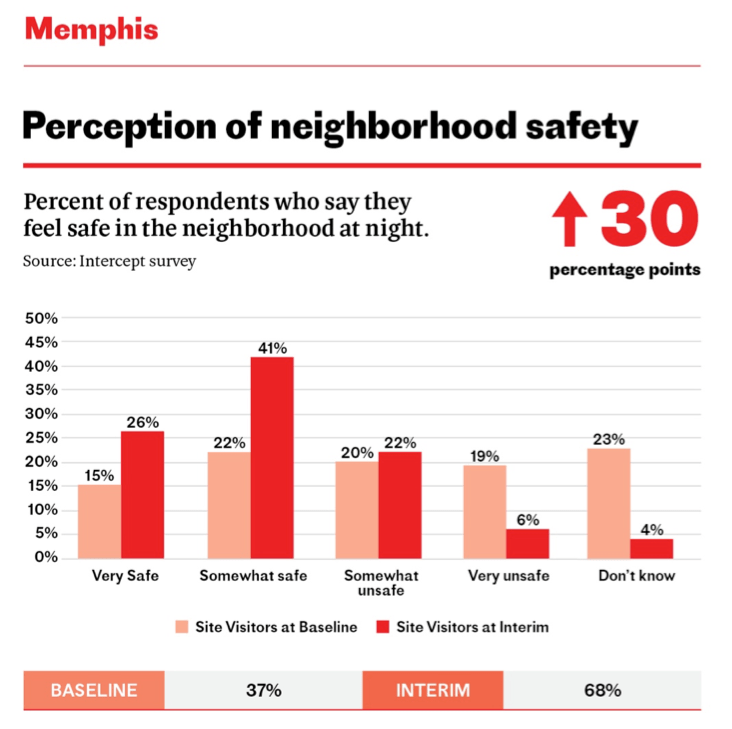 The Memphis project also includes a program for Memphians to receive grants that advance a Civic Commons goal – civic engagement, socioeconomic common ground, environmental sustainability, and value creation. We know that the civic commons, everything from parks and libraries, to city centers, the streetscape and other public spaces, play vital roles in enabling and promoting social interaction. Communities invest significant resources in these assets, but often find it difficult to track progress and the contribution of these assets to citywide progress. A new report from Reimagining the Civic Commons shows how investments in parks, libraries, trails and other civic assets in four cities have shifted people’s perceptions of nearby neighborhoods. The civic commons project is a three-year initiative across five U.S. cities supported by four national foundations—The JPB Foundation, the John S. and James L. Knight Foundation, The Kresge Foundation and The Rockefeller Foundation. It’s made investments in parks, libraries, community centers and other public spaces in selected neighborhoods in Akron, Chicago, Detroit and Memphis. All told, Reimagining the Civic Commons is investing a total of $40 million from national and local sources across the four cities alongside a pilot in Philadelphia to demonstrate how investments in public spaces can reverse recent trends of economic and social fragmentation. In 2017, Reimagining the Civic Commons measured a variety of data points related to civic engagement, socioeconomic mixing, value creation and environmental sustainability, to establish baseline metrics for the four cities’ projects. Today’s reports represent the first set of interim data from the cities, looking at change in some metrics from the 2017 baseline work. This data-driven approach offers a new method for determining the multi-faceted value of reinvesting in civic assets and provides evidence of the societal benefits of strategic public space investments. Better understanding and measuring the public realm has been a key interest at City Observatory. Our research report, Less in Common, makes the case that the way we’ve built our communities has led to increasing social and economic segregation. We’ve developed measures of the public realm, like our Storefront Index, that can be used to gauge the health of public spaces. City Observatory has contributed to this work by developing a series of socioeconomic indicators, tracking changes in rents and property values, crime rates, and other demographic values.